Getting Married in Jamaica? 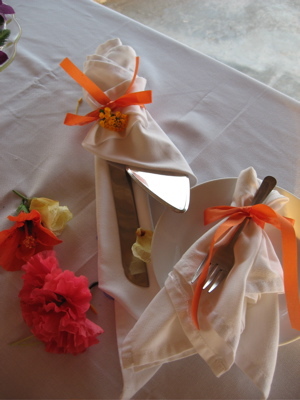 Have your wedding in Negril. Just say those magic words, "Book my Jamaica Wedding Package!" Say "I Do" On the Beach or Rooftop Deck Overlooking the Caribbean for a dream Negril beach wedding. 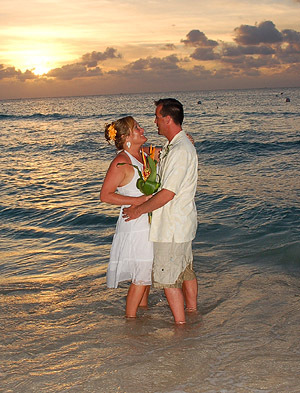 A Negril sunset is the perfect background for your wedding in Jamaica! Decorations and Reception may be customized to your needs. COME STAY IN A ROMANTIC HIDEAWAY AND CELEBRATE THE WONDER OF THE CARIBBEAN!! Please note this information needs to be received in Negril 60 days prior to the wedding date.